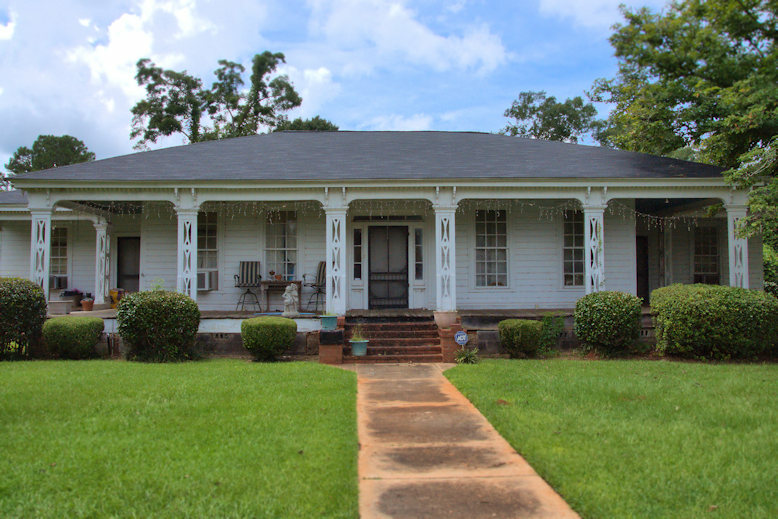 Though it was later modified to a Folk Victorian appearance, I believe this house has antebellum origins. I hope to learn more. 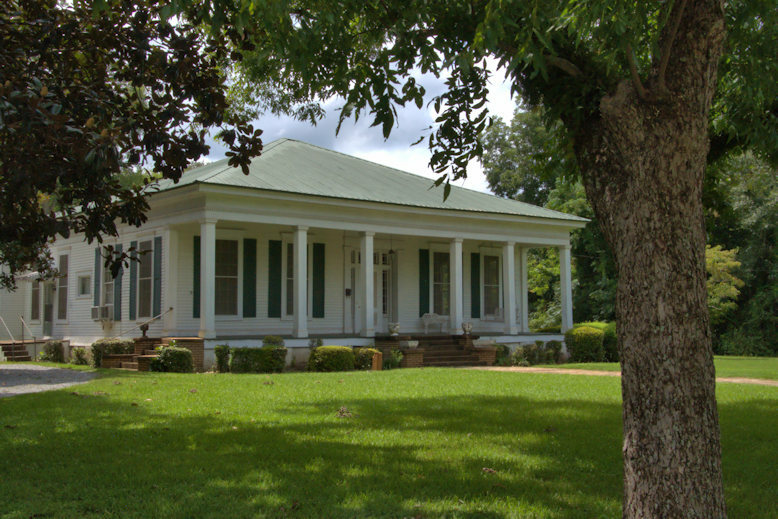 For well over a century a pecan tree planted on this property in 1848 was memorialized as “The Mother of Georgia’s Pecan Industry”. The seed nut was brought from Texas by Mrs. Taylor’s mother. A Colonial style house built for the Taylor family originally stood here, but was replaced by this structure. 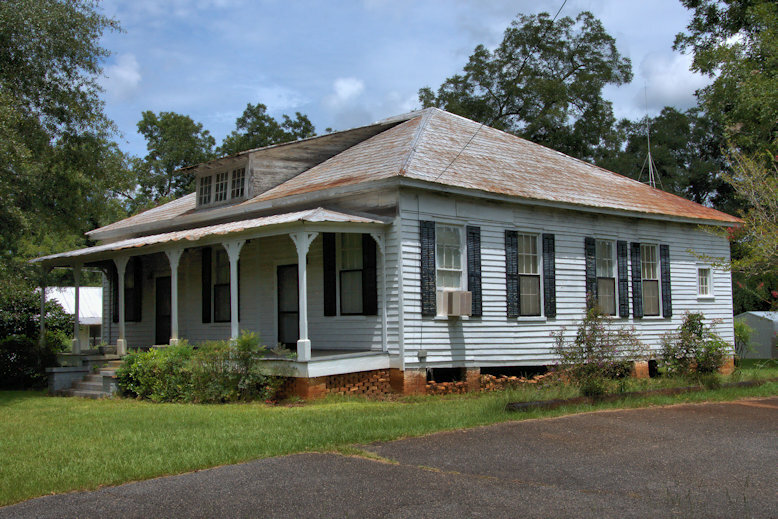 Built for William H. Perkins, entirely with wooden pegs, this home was sold to S. D. Zuber in 1889. 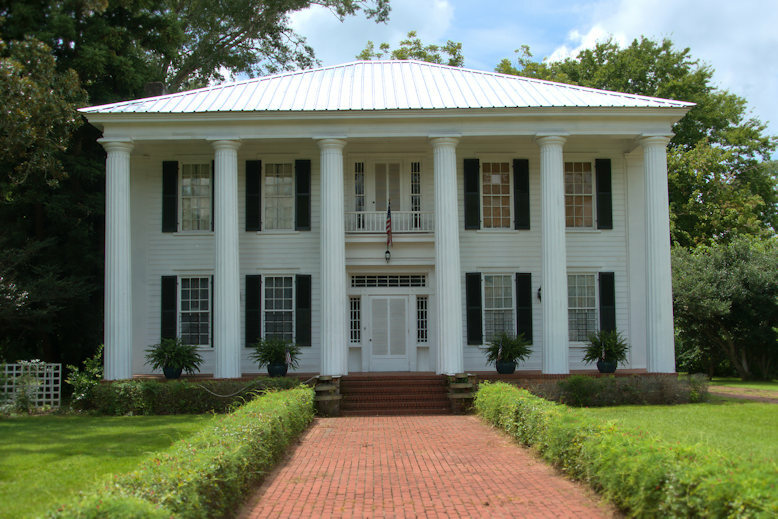 Traditionally known as Boxwood, this Cuthbert landmark was built by Judge William Taylor, the first judge of the South Western Circuit of Georgia and later a Superior Court judge. 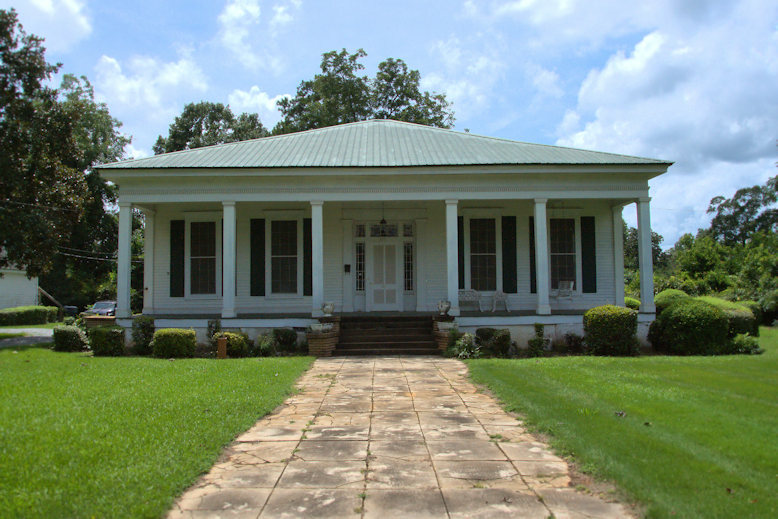 The home was later owned by James B. Bussey. 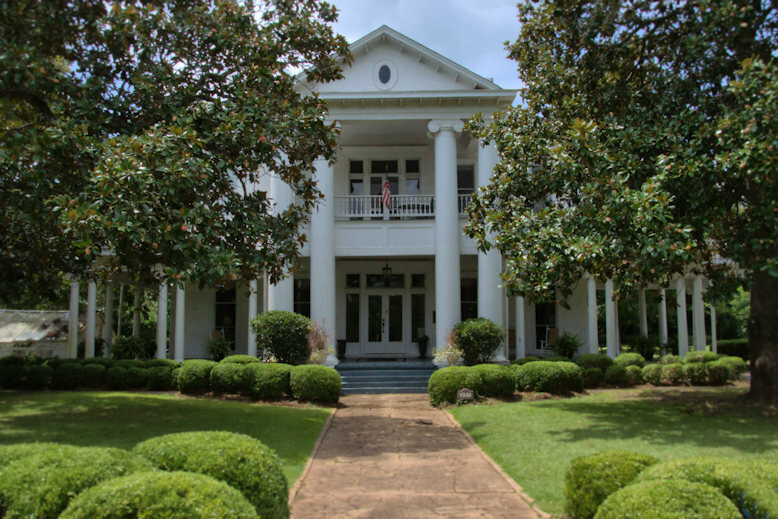 After being subdivided for use as apartments, it was restored in 1959 by U. S. Representative Bryant T. Castellow and his wife Katherine. 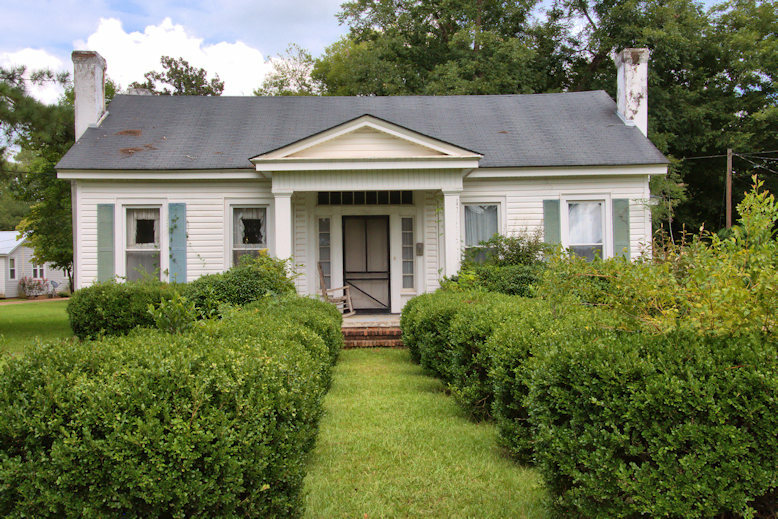 This Greek Revival cottage was built in 1855 by Marcellus Douglass and given to his sister, Narcissa Weakly Douglass, who married Francis David Bailey and then Judge Bedford Solomon Worrill. 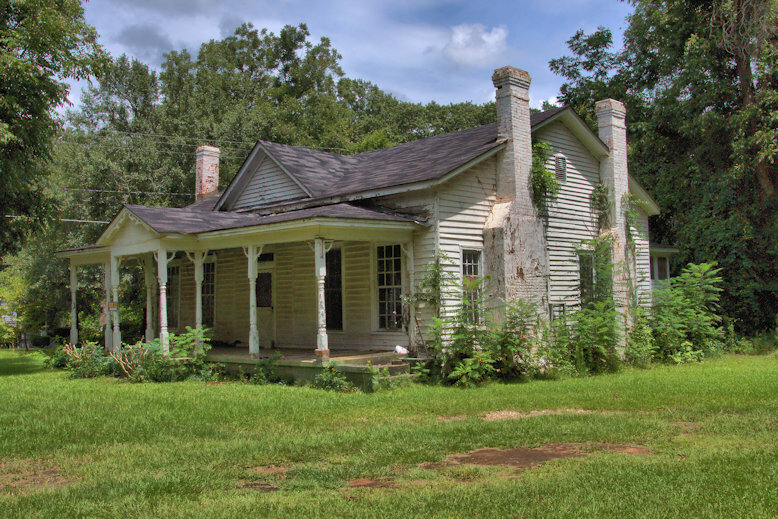 In the 1860s, she conducted a private school in this house. The original doors were of the “Cross and bible” design.